Kerala the God’s own country is rich in its culture and traditions followed for centuries. The southernmost state of India and is very known for its greenery, the land of coconuts, heaven on earth, and the God dwelling, abode is this wonderful Kerala. It has rich cultural heritage. The highlights of this wonderful land is that there are many cultural activities that are conducted – performing arts (Koodiyattum, Kathakali, Mohiniyattam, Theyyam are some of it), Carnatic music, the traditional music – melam is performed at temple centered festivals with Chenda (music instrument) comprising of more than hundred musicians, each performance lasting for an hour and percussion instruments are used mostly during the celebrations, martial art – Kalarippayattu and all the elements of the traditional lifestyle of the people of Kerala are reflected in the folkart and the songs of the divine place. Some important festivals are Onam – that is celebrated in Kerala, it is a crop festival and celebration of the return of Mahabali, the future king (This king ruled "when all men were equal, when no one was poor, when there was neither theft nor dread of thieves"), Kerala Boat Festivals – where fierce boat races are held on the great backwaters of Kerala annually, Vishnu festival – Malayali New Year’s Day, Thrissur Pooram – The most spectacular festival celebrated in the month of April (temple festival), Payippad Jelotsavam – another boat festival held in memory for the Prathista ceremony of Haripad Subramanya temple, Attukal Pongala – where women gather to do offerings by cooking pudding to the Goddess in the Attukul temple, Makaravillaku at Sabarimala and Theyyam – worship of the deity in the figure of animals, serpents and trees. 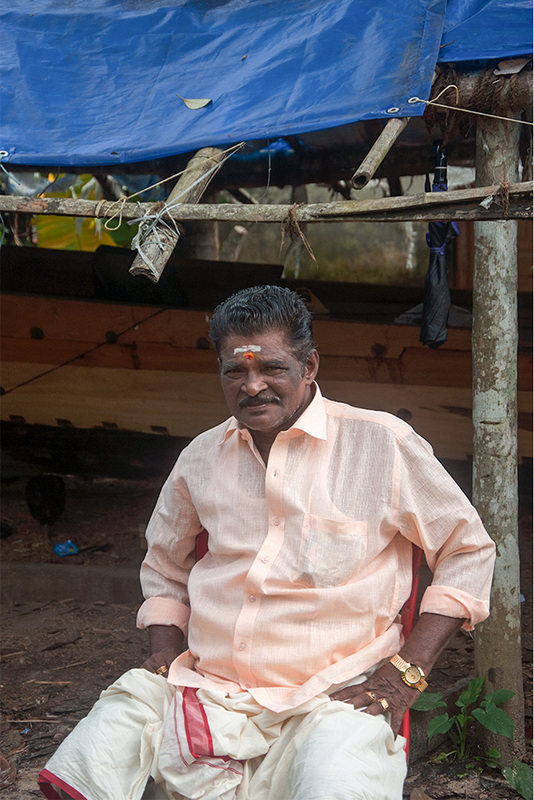 Kerala is a land of traditional diversity blending in all. Among the important festivals, the backwaters of Kerala offer wonderful scenery water carnivals. The Kerala boat festival is an event that platforms the ethnicity of the state and brings out the outstanding team spirit, incorporation and good affairs of the people. The boat festivals are commonly known as Vallom kalli. 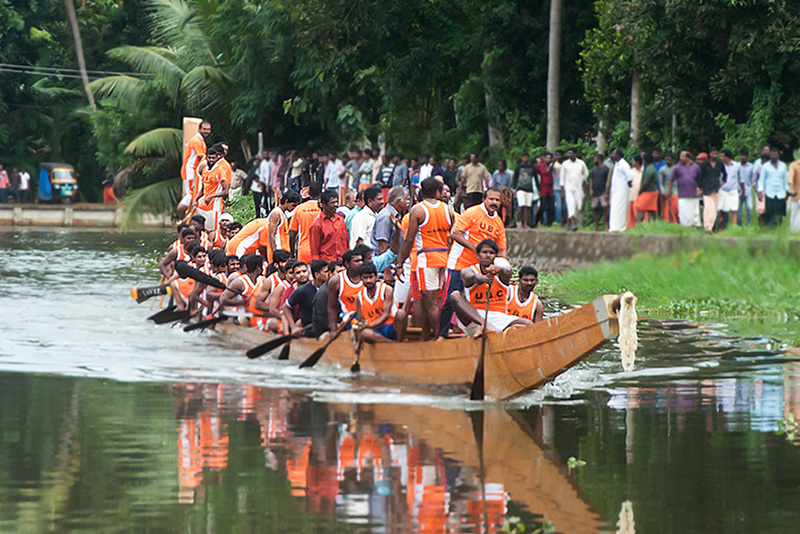 Vallom kalli is the traditional boat race that is held in Kerala. They are conducted every year in parts of the state and amazing numbers of people take part and make it more rejuvenating. The boat looks canoe accommodating a specific number of people to paddle and race. The boat festivals are mainly organized through the harvest season that is during Onam festival in autumn. The begin of this race somehow must have been through the wars during an early 14th century between the medieval kingdoms of Kayamkulam and Chembakassery, King Devanarayana of Chembakassery commissioned the construction of a war boat called Chundam Vallam from a famous carpenter of those days for creating. Hence theoretically, methods for creating these Chundan Vallam (snake boats) are of six fifty years old and Parthasarathi Chundan is said to be the oldest model. The race of Chundan Vallom (snake boat) is the chief event hence Vallom Kalli – the boat game is also addressed as snake boat race. The Boat Festival brings out the amusing tradition and diverse culture of the state. It is one of the biggest festivals in Kerala and is held every year. 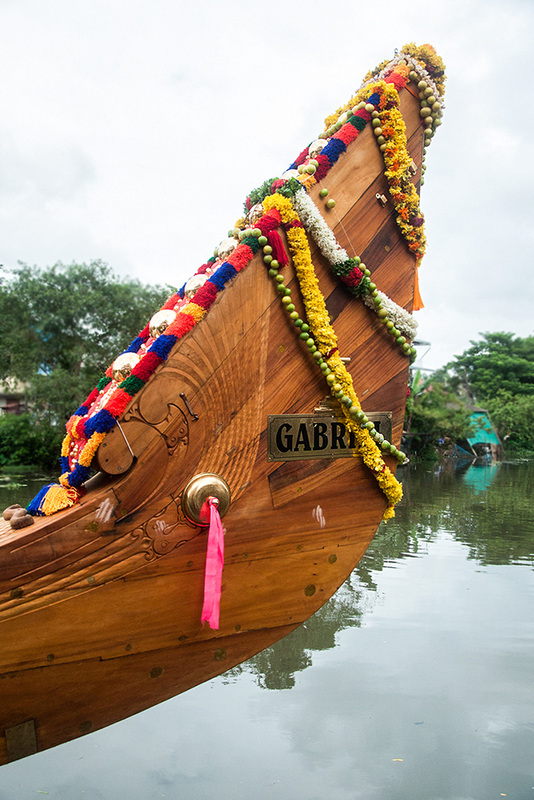 The people celebrate Kerala Boat Festival with great zeal irrespective of any caste and religion and the snake boat race recognition comes with a line of snake boats all set for the greatest happening races stretching from the month of July to September. 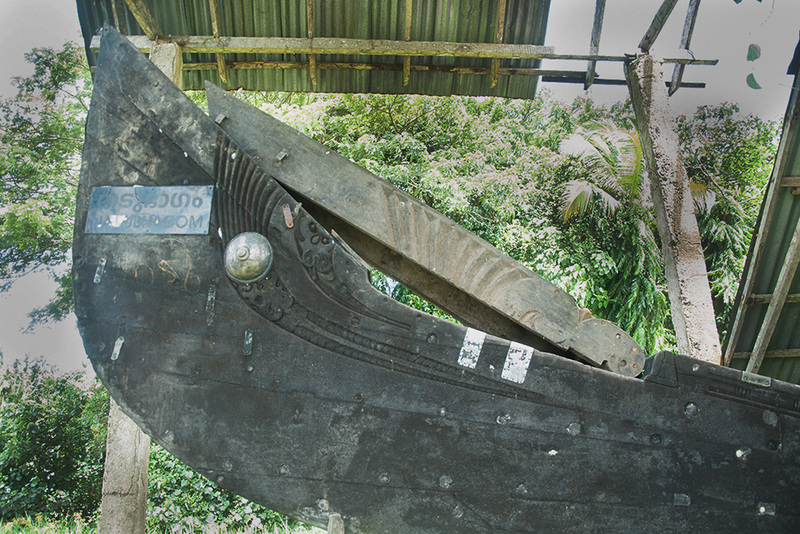 The boat is made of Anjali wood; the wood is cut and transported to the location where it is constructed. The making of the boats has to begin on the auspicious day. 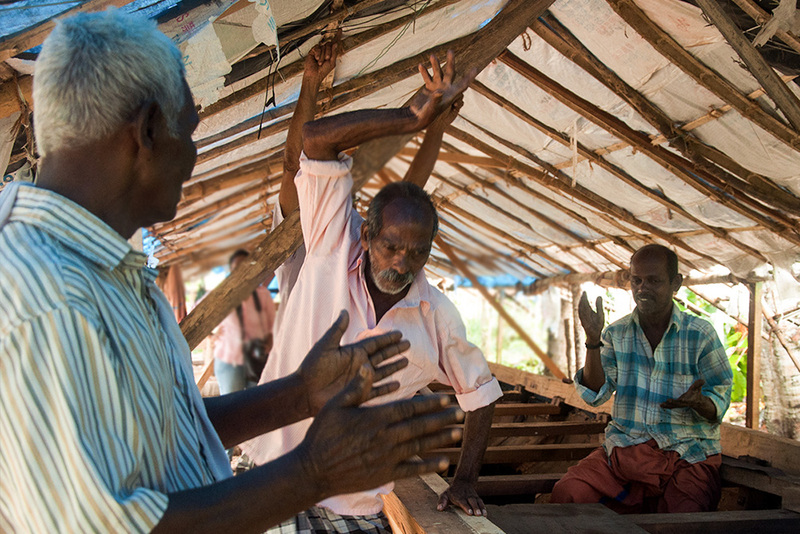 The processes follow from the Vedas of building boats. The boats are more than a 100ft in length with a rear portion rising to a height of about 20ft. The boat resembles a snake with its hood raised when it is completed. 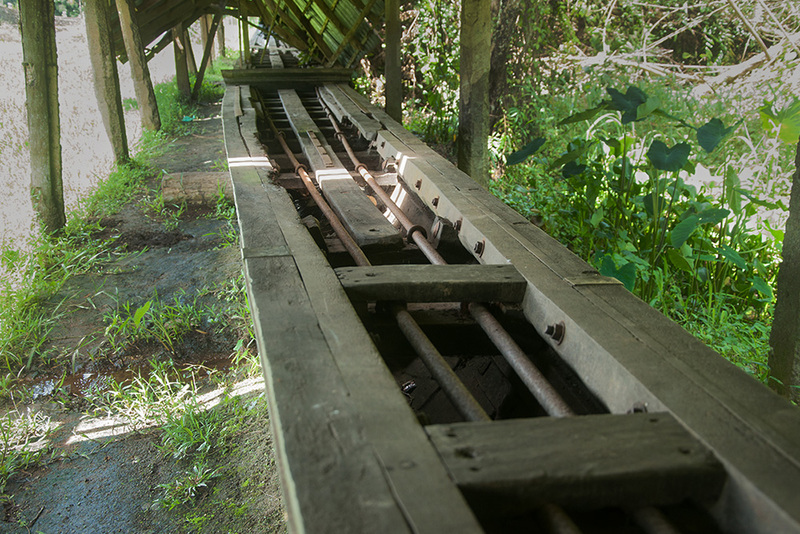 The Hull is built of planks quite to a length of 80ft. 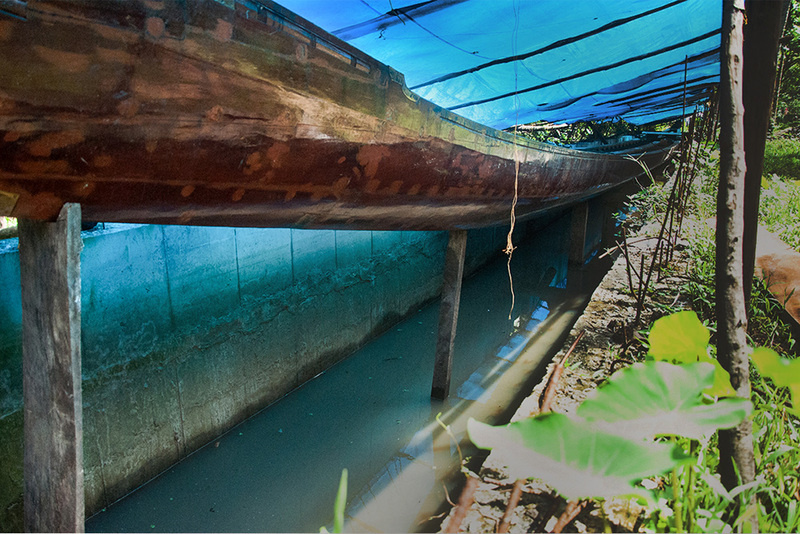 The boats are oiled to reduce the absorption of water. It is oiled with fish oil, coconut shell, and carbon, mixed with eggs to keep the wood strong and boat lubricious in water. Only men of the village are allowed to be in the boat and supposed to be dressed in mundu (white cloth) and turban. The villagers worship the boat and men get into the boat barefooted. The leader – Kaarnavan/Karanaadhan, will command the boat with first rudder oar (adanayampu) under him will be three oarsmen who will be responsible in controlling the movement of the boat. People in boat sit two in a row along the length of the boat and they row in the beat of the Vanchipattu (the boatman’s song). The main singer will lead the other singers on the platform, standing in middle between the oarsmen to pep them and coordinate their rowing and move ahead. The Vanchipattu is the song that the singers lead which oarsmen will repeat and move according to the beat. It has a history and started century ago during the former kings of Travancore and Cochin kingdoms. Rowers in the boat races sing the song in varied forms. The list of Vallom kalli events goes like major and minor events. The Kerala festival dates are certain in accordance with the Malayalam calendar and the local traditions and customs. The Aranmula Boat race is the oldest riverboat celebration that takes place in Aranmula near a Hindu temple devoted to Lord Krishna and Arjuna. People with great enthusiasm come to visit the temple during the festive times and also the great event of snake boat race on banks of river Pampa. The snake boats are addressed Palliyodams which in other words is Chundan Vallom, are the divine vessels of the presiding deity in Sree Parthasarathy temple. There are three important festivals that these snake take part in solemn religious custom – Thiruvonam, Uthrittathi and Aranmula Vallasadya. 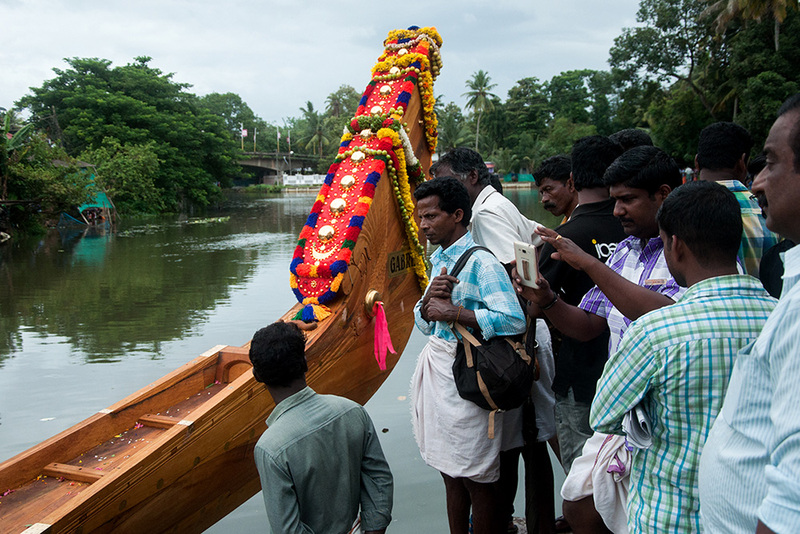 Thiruvonam - The special boats that is the arrival of Thiruvonathoni from kattoor is celebrated initially at Aranmula. A boat with necessary provisions and an ever-burning lamp is arranged to set off its journey from the temple Katoor around 6pm to reach Aranmula around 4am the next day that is the Thiruvonam day. The snake boats accompany these special boats on the way and people of all age groups gather to witness this event. Uthrittathi - It is considered to be the day of the idol sanctified in the south hence there will be a snake boat regatta in front of the temple in celebrations. Aranmula Vallasadya - An elaborate and a formal meal for the oarsmen of snake boats at the Parthasarathy temple is served. This mega fest includes people from all parts of the state. Valla sadya is performed in a way; the one who offers the feast must invite the leader (karanathan). The decorated boat will arrive with the other boats. They are welcomed with thalappoli (a traditional procession carried out to attract happiness and prosperity) and offerings, marching to the arranged banquet later. The Chundan Vallom miniatures can be witnessed in every home as well as the shops and handicrafts emporium across the state. The villagers are occupied in making these miniatures and have made an occupation making these models that are great in demand. These boats are made out of sandalwood or ivory fittings and brass buttons. They are altered sometimes to make candle stands, pen stands, key holders and the prices range less than a hundred rupees to few hundreds depending on the sizes and embellishments of the products. Tourists would want to buy this stuff to take home the reminiscence of the great energizing snake boat event or sometimes just as an element of the land’s activity that would keep them excited of the visit.